Hi! I'm Billie Lamontagne, your West USA Surprse Realtor. I specialize in representing my clients in purchases, sales, or rentals of single-family residences and income property within the cities of AVONDALE, BUCKEYE, EL MIRAGE, GLENDALE, GOODYEAR, LITCHFIELD PARK, PEORIA, PHOENIX, SUN CITY, SUN CITY GRAND, SUN CITY WEST and SURPRISE. I keep current of all transactions in each of these areas. So there's no need to contact every listing office of the properties you are interested in...just call me! And I can help assist military personnel in finding homes when receiving orders to Luke Air Force Base, as well as selling homes of those receiving orders elsewhere. Each year, buying, selling, and renting homes gets more and more complex. I'm here to help you navigate through the process, and to make it easy and rewarding for you. I give my clients the information they need to make smart decisions in this fast-moving market, offering the patient guidance and attention to detail that is valued as much by first-time buyers, sellers, or renters as it is by seasoned pros. The bottom line is getting the right price for your home. I am a people oriented person and will always have your best interest in mind. I will show you the research to back up my recommendations, including information about recent sales, current listings, and recently expired listings in your neighborhood. In this rapidly changing market, it pays to have someone with local, expert knowledge. I'm a long time West Valley resident, having lived here for over 25 years - well before the West Valley housing boom and contraction. Over the years, I have seen many changes in the area and I stay abreast of proposed changes that will affect the lifestyle of the area; such as proposed freeway expansions and new master planned communities. Let me help you sell your current home or find your new dream home. It doesn't take long to feel a genuine sense of belonging to the friendly communities in the West Valley! Billie has held my hand through every step of owning a house! She is dependable and knowledgeable. She helped us buy our first house and is now helping us upgrade! If you want to work with a true professional, do not hesitate to call her. I've known Billie for years. She has helped us look for our primary residence as well as investment property now and in the past. She is very professional and extremely hard working. I have recommended her many times. She is currently helping us with a land search. She is very responsive and always gets the answers to all questions. She is knowledgeable about proximity to water and utilities, etc. We couldn't do without her services. We have purchased 2 houses in the Surprise area through Billie over the last 4 years. She is honest and trustworthy. She won't pressure you or waste your time showing you houses that you don't want. She did a tremendous job on marketing our rental and getting us a renter. I would highly recommend Billie to anyone who needs a realtor. My Husband and I first interacted with Billie when we sold our first home in Arizona, in 2013. She was actually our Buyer's Agent! She is not only very professional, but very personable as well! When we wanted to buy our second home in Arizona, we immediately contacted Billie! She is very organized, and attends to every detail! She is also hard-working, and conscientious! She was truly our advocate in obtaining our new home, as well as in her dealing with our Bank. She went the extra steps to make our Wishes come true! We Love our new home! Thank You Billie for ALL that You do! We have already recommended Billie to others....and will continue to do so! I'm a first time home buyer and I gotta say that Billie was a great help during this whole process. I got approved for a loan but had no idea what to do or where to start. My bank referred me to Billie and as i said she has been a lot of help. She has been very patient with my wife and I, we must have seen over 20 houses & we were being real picky. Once we found the house we wanted, the process went by real fast. I would recommend her to anyone. She's not one of those "high pressure used car salesman" people. She was very patient & professional. You will be in good hands if you stick with Billie. Billie is an amazing agent! We would recommend her to anyone! My husband and I were unsure of what we were looking for exactly when we started looking for an income property in the Greater Phoenix area and Billie really listened to us, helped us to narrow down our search and has found us the perfect homes. Her professionalism, patience, work ethic and market knowledge were invaluable in our search. She helped us throughout the process both times, and has remained available to us for any questions even after the sales. 5 stars all the way! Billie is a fantastic Real Estate Professional! She sold my home in 2013 and sold a piece of land I owned in 2014. Her work ethic and knowledge of real estate is impeccable! She is extremely organized and detail oriented, which helped the transaction go smooth. 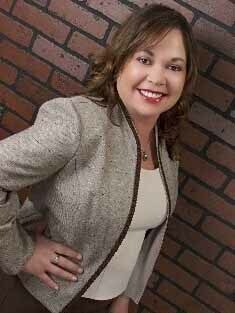 I really enjoyed working with Billie and would recommend her for all your real estate needs! Billie goes above and beyond to get the job done. She has helped me buy 5 homes and she has listed and sold 1 of those homes. She has also helped me several times find tenants for my homes.